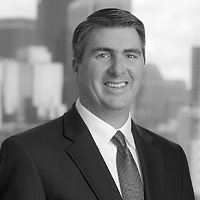 John Loughnane, a partner in Nutter’s Corporate and Transactions Department, presented at the Boston Bar Association’s program “Commercial Leases with Financially Distressed Tenants” on September 27. John led a discussion on dealing with a financially troubled tenant including issues arising during a tenant bankruptcy. The program provided an overview of the basics of the bankruptcy code pertaining to commercial leases, the impact of the automatic stay, and how a commercial landlord can navigate the process, and maximize its recovery, when a tenant files for bankruptcy.